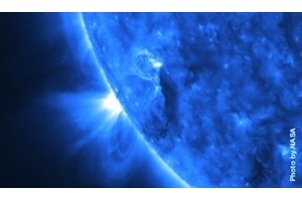 Will it be a solar flare? Or a gamma-ray burst? DISCOVER's own Phil Plait lays out the odds. The universe is trying to kill us. In Death From the Skies! by our own Bad Astronomer, Phil Plait, counts the ways the world will end. Start worrying in a few million years about a cosmic dust collision, when the sun hits the closest spiral arm of our galaxy. Take your chances with an exploding star. Or manage to escape these threats, and you just get an extra 1035 years before all matter decays anyway. Event Damage Odds of fatality per lifetime Preventable? alien attack Humanity wiped out by aliens, space bugs give us runny noses ? Preventable, assuming we colonize the galaxy first. * Fatalities are very unlikely from a solar event, but they can still cause extensive damage. † These events all take billions of years (at least!) to unfold, so the chances of them happening during your lifetime are zero, but are inevitable over longer times.